Energy is complicated. The goal of the U.S. of Energy is to help you understand energy realities in America. We stayed away from politics and playing favorites with any individual resource. Everything is based on facts. Have fun. Explore. Click on each state and region. We bet you learn something. 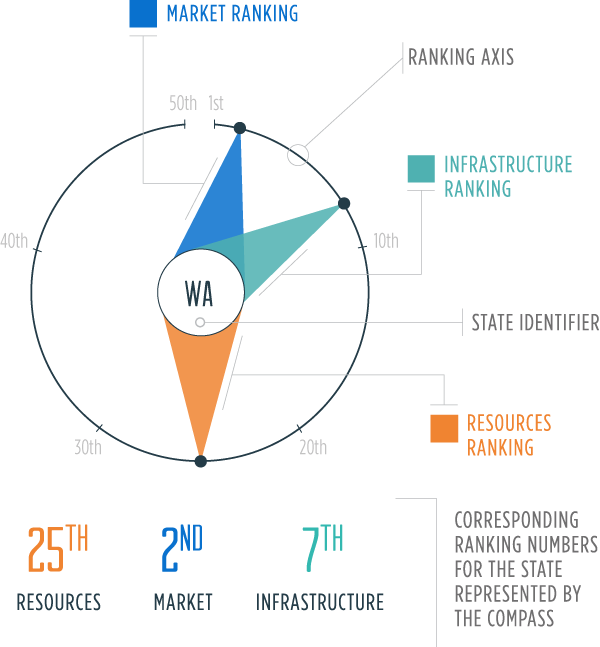 Each state has been given a unique symbol, which provides an overview of the state’s energy profile in terms of its infastructure, resources and market. The symbols allow you to compare and contrast these key indicators and explore connections among the states. All states and regions include additional facts and highlights contained above the region or state summary as well as within Points of Interest indicated on the map. Across every regional and state map, you will be able to hover over map points, called Points of Interest, that reveal more details about the energy in that area. Points of Interest combine topic symbols and category colors to indicate subject matter.